The Housing Executive is the largest social housing landlord in the UK maintaining almost 90,000 homes and has been named as one of the top 30 landlords in the UK. Through our leading edge research and housing analysis we inform and support housing regeneration initiatives to enable sustainable communities. The organisation has a wider strategic role which extends to addressing broader housing issues. Our aim remains to deliver good housing and ensure the future of all neighbourhoods across Northern Ireland. The Housing Executive has a proud record of supporting the development of its communities’ and in assisting them to build safe, stable and cohesive neighbourhoods. Yet, the organisation is conscious that those same communities remain the most likely to be those which are socially disadvantaged and often excluded from the wider economy. In Northern Ireland, 376,000 (21 per cent) people are currently living in poverty. Two in three Housing Executive tenants live on less than £200 per week, with over 80 per cent relying on means tested benefits. 80 per cent of households have no one in paid employment and 10 per cent rely on payday loans for essentials. In response to the challenges being experienced by communities to constrain their growth and renewal, the Housing Executive has embarked on a new programme to provide support to our social housing communities and help them become more self-sustaining and economically vibrant. The Social Housing Enterprise Strategy, to be realised over three years, aims to empower social housing communities to tackle difficult issues which affect their quality of life through the creation or expansion of social enterprise. The Housing Executive has invested £1 million and other resources in the development of the local social economy and in the creation of community-owned social enterprises. 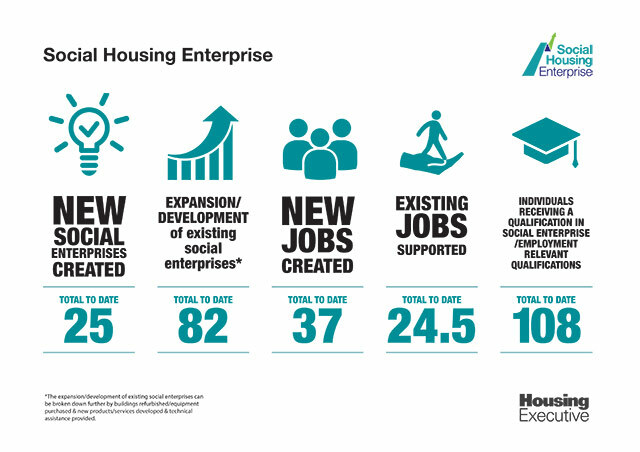 Since its inception in September 2015, The Housing Executive has helped communities to create 25 social enterprises, developing 82 existing social enterprises leading to 37 new jobs being created and 108 people undertaking new qualifications. 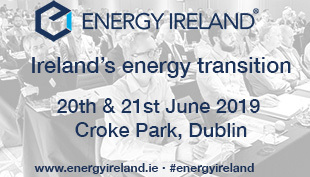 Colm McQuillan, the Housing Executive’s Director of Housing Services, explains: “Social enterprises trade to tackle social problems experienced by communities and deliver socially beneficial outcomes of economic, social or environmental value to those communities, locally regionally or nationally. “We are confident that by undertaking this new role, we can build and grow locally owned and managed businesses that will bring real and sustainable benefits and transformational change to local communities and their residents. “Already, we have seen tangible changes within successful communities across a diverse range of projects including an alterations business in Sandy Row, a micro-homes project for young professionals, a digital studio in Derry-Londonderry to an upcycling shop in Fermanagh. Research — Examine. Inform. Enable.